Elizabeth Clark Tarbert has been ethics counsel for The Florida Bar since 1997, providing oral and written ethics opinions to members of The Florida Bar and advising the Professional Ethics Committee, Standing Committee on Advertising, and Board Review Committee on Professional Ethics. She has also served as counsel to numerous special bar committees such as the Special Committee on Multidisciplinary Practice, Ancillary Business Special Committee, Special Committee to Review the ABA Model Rules 2002, and several advertising task forces. Before becoming ethics counsel, she served as assistant ethics counsel from 1994 to 1995, she has been an assistant public defender in both Dallas, Texas and with the Eighth Judicial Circuit in Gainesville, Florida. While at the Defense Contract Management District Mid-Atlantic, Defense Logistics Agency in Philadelphia, Pennsylvania, Ms. Tarbert worked in a special fraud remedies unit, assisting in the investigation and prosecution of government contractors. Ms. Tarbert graduated from the University of Florida College of Law with honors and holds a Bachelor of Arts degree in Sociology from the University of Florida. She frequently speaks on legal ethics and professional responsibility. 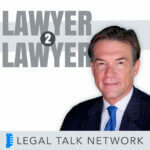 Elizabeth Clark Tarbert talks about The Florida Bar’s Ethics and Advertising Department, including their role with the Bar, common questions they are asked, and why lawyers shouldn’t be afraid to call them for advice.